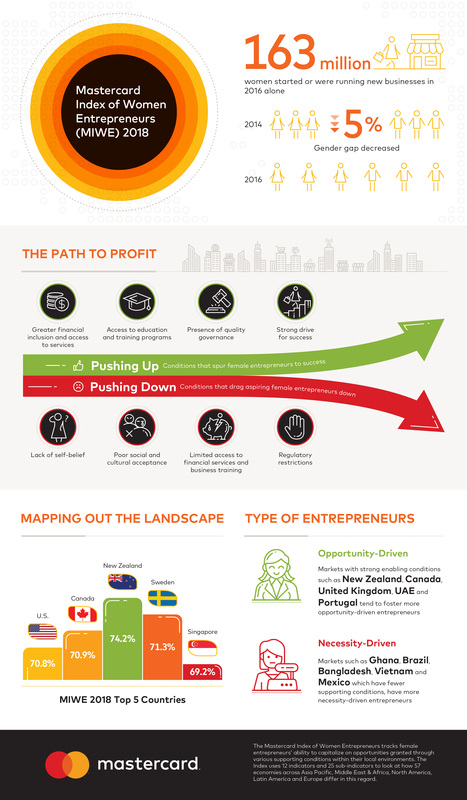 Singapore – March 7, 2018 – Women entrepreneurs appear to thrive better in more developed economies, findings from the second edition of the Mastercard Index of Women Entrepreneurs (MIWE) revealed. Compared to their peers in emerging markets, women business owners in developed ones are able to draw from a greater pool of enabling resources and opportunities, including access to capital, financial services and academic programs. Overall, the Index indicates that budding and established women entrepreneurs around the world continue to progress despite gender-related cultural biases that can create significant roadblocks hindering them from advancing their businesses. The Index tracks the progress and achievement of women entrepreneurs and business owners across 57 markets spanning five geographic regions – Asia Pacific, Europe, Latin America, the Middle East and Africa, and North America. “Women entrepreneurs have made remarkable strides as business owners around the world, even as they work to achieve their full potential. 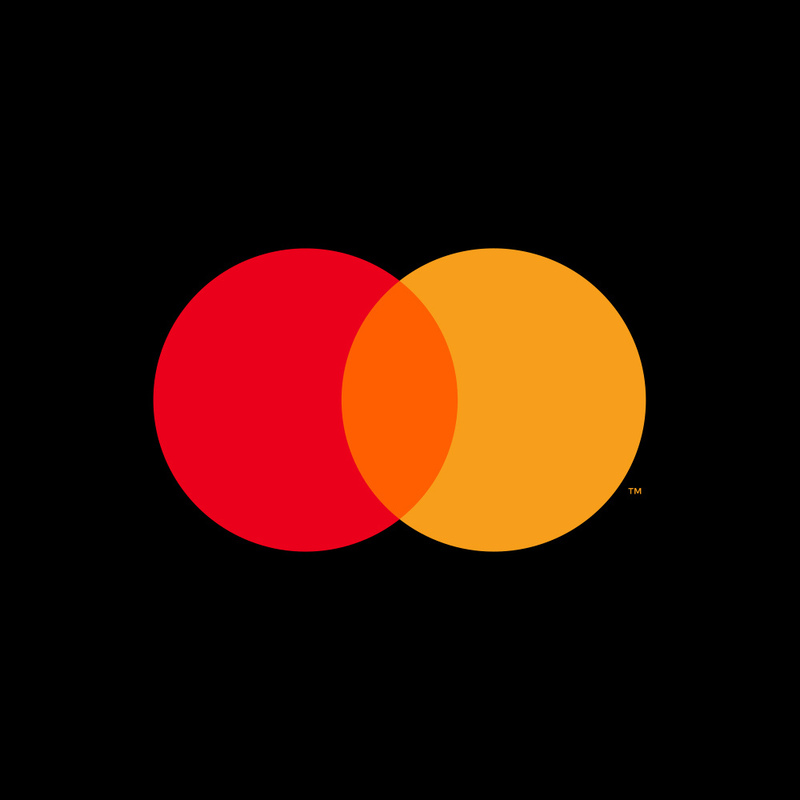 We believe that by drawing attention to their efforts, we can further support and empower women in their drive to run successful businesses and lead richer, more fulfilling lives,” said Martina Hund-Mejean, Chief Financial Officer, Mastercard. The Index indicates developed markets with strong enabling conditions are not immune to cultural bias against female entrepreneurship. In New Zealand, results revealed that the society is less receptive towards female entrepreneurs. Despite these circumstances, women business owners in New Zealand have risen above the challenge, pulling their market to the top – and for the second year running. The Index also suggests that the opportunity for entrepreneurship is not necessarily aligned to the pace of a market’s economic development. Emerging economies such as Ghana (46.4 percent) – one of the Index’s three newly added markets along with Malawi and Nigeria – Uganda (33.8 percent) and Vietnam (31.3 percent) were found to have higher women business ownership rates, compared to more developed ones. Women in these markets are deemed as necessity-driven entrepreneurs, spurred by a need for survival despite their lack of financial capital and access to enabling services. “Ahead of International Women’s Day, we hope the study’s findings can serve as a timely reminder for governments and organizations to bolster support provided to budding and working women business owners across all areas, from greater financial inclusion and wider access to education,” said Ann Cairns, President, International Markets, Mastercard. The Mastercard Index of Women Entrepreneurs tracks female entrepreneurs’ ability to capitalize on opportunities granted through various supporting conditions within their local environments and is the weighted sum of three components: 1) Women’s Advancement Outcomes (degree of bias against women as workforce participants, political and business leaders, as well as the financial strength and entrepreneurial inclination of women), 2) Knowledge Assets and Financial Access (degree of access women have to basic financial services, advanced knowledge assets, and support for small and medium enterprises), and 3) Supporting Entrepreneurial Conditions (overall perceptions on the ease on conducting business locally, quality of local governance, women’s perception of safety levels and cultural perception of women’s household financial influence). The Index uses 12 indicators and 25 sub-indicators to look at how 57 economies across Asia Pacific, Middle East & Africa, North America, Latin America and Europe – representing 78.6 percent of the world’s female labor force – differ in terms of the level of the three components.